First of all, welcome to 2013! 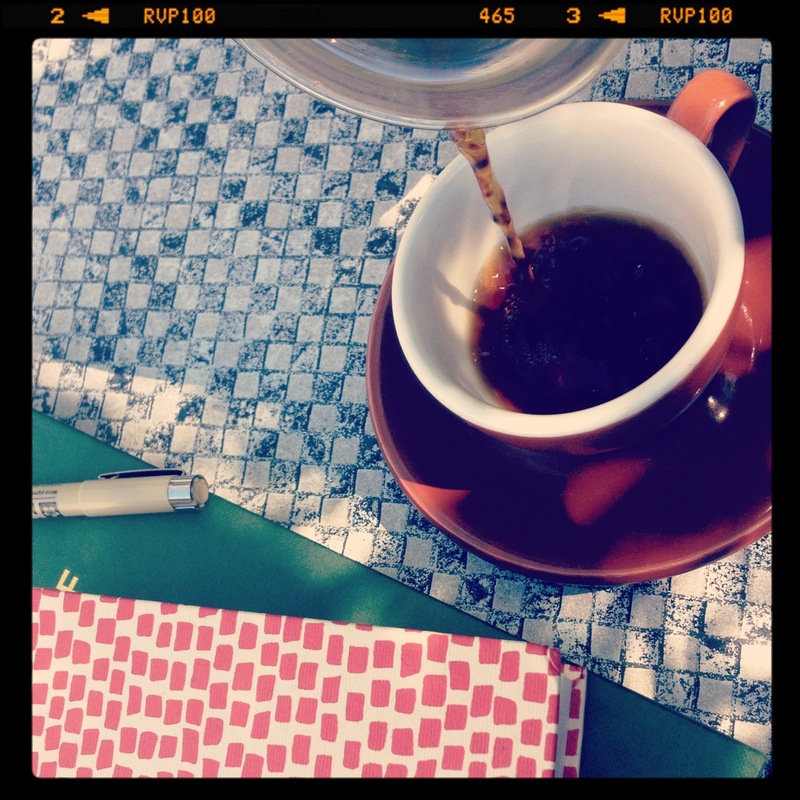 While everyone was busy writing their year end write-up, I was… well frankly I just wasn’t. I was busy. Even though it’s now halfway into January, I’d like to take the time to review the year 2012 in coffee. I’m now embarrassed to admit I spent over half of the year working solely with espresso review and testing. Because of this, all of my notes until August are only about espresso. Essentially it looks as if I didn’t even drink anything but espresso and cappuccinos. In reality, this was certainly not the case. Thus, I’m left with a hole because of a stubborn mistake I made. 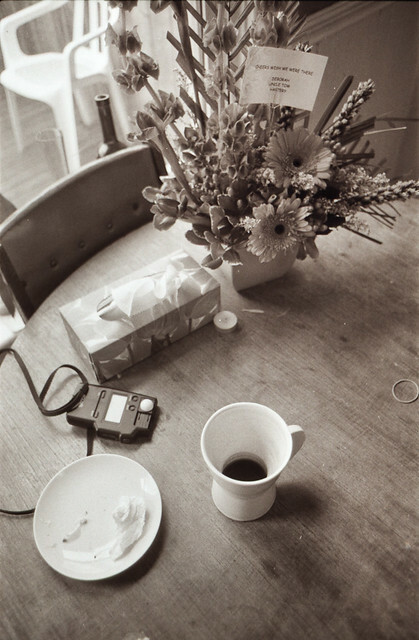 I like coffee – hell, I love coffee. So why limit my notes to espresso? So with all of the above in mind, here are my thoughts on 2012. I’m including some of the best coffee tested, best espresso tested, and also my top experiences in various cafes. 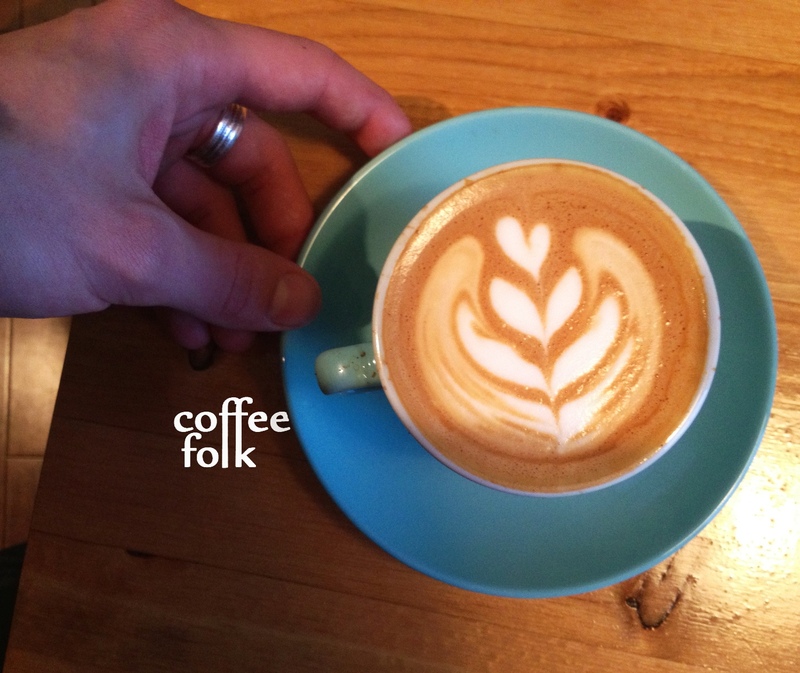 By far and above my most nostalgic coffee was one I enjoyed during the month of January in Nova Scotia. As a gift from the mighty East Coast coffee guru Zane Kelsall (of Two If By Sea Café in Dartmouth and Nova Scotia as well as the new Anchored Roastery) I spent each and every cold morning grinding the Kenya Kaliluni Peaberry from Ritual Coffee in my Hario hand grinder and making a small french press in my steel Frieling. My morning routine was to wake, load my hand grinder with coffee, grind, and french press (or Ritual shall we say). Kaliluni Peaberry, KENYA This was a real delight to drink. It was a really well balanced coffee with red fruit (raspberry and cherry) with a savoury smokiness of an oolong tea. 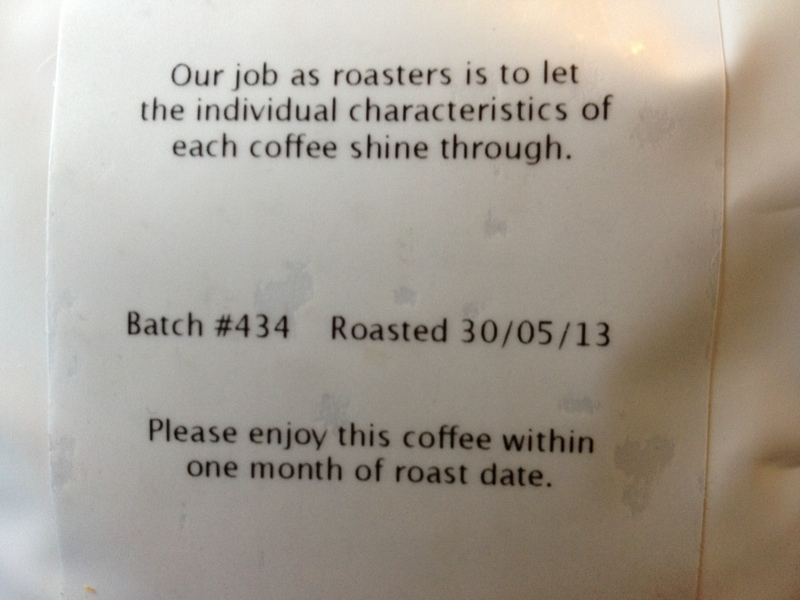 The tasting notes on this coffee were short and succinct and very true to their actuality. I found this had a lovely acidity and most of all everything was very, very well integrated. 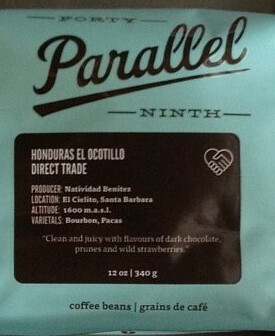 The second delicious Honduras coffee from 49th Parallel in mere months. They were really on fire the second half of 2012. This was purchased at Fixed Coffee and Baking after hype from the guys. On the nose there was a medium+ intensity, I found dried sticky fruit like pineapple, honey, and red fruit like raspberries and red currant. On the palate I found red currant, lime acidity, honey, and bright dried fruit (pineapple and peach). The finish was long with a pleasant sweetness and working into dark chocoalte. This also would make a great everyday coffee with a nice complexity to keep it interesting to drink. 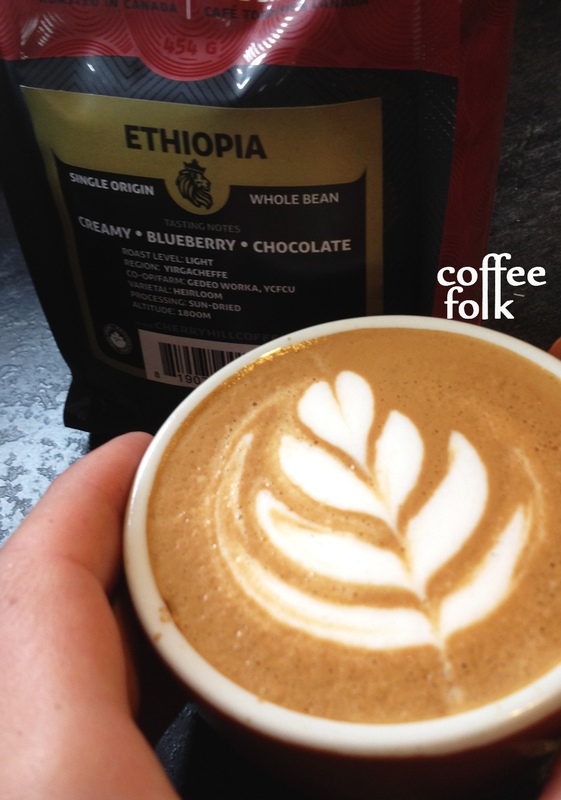 Great coffee, lovely sweetness, pleasant acidity and great sweetness. Excellently balanced. THIS IS COFFEE how it’s supposed to be. Anyone could enjoy this one! This was a really summery coffee, just dripping with strawberry flavours. On the nose I found an obvious aroma of strawberries, citrus and strawberry pastry. On the palate the coffee developed and changed as it aged. At 5 days off roast until about 12 days off roast I found there was a dominate warm, fresh strawberry juice, much like biting into a harvested strawberry. As time went on, I found the strawberry notes settled a little into a more subtle strawberry compote/ dried strawberry. There was also citrus, brown sugar, and a cranberry flavor and cranberry-like acidity. Personally I found this was the best on the French Press, it really brought out the brown sugar/ pastry sweetness. 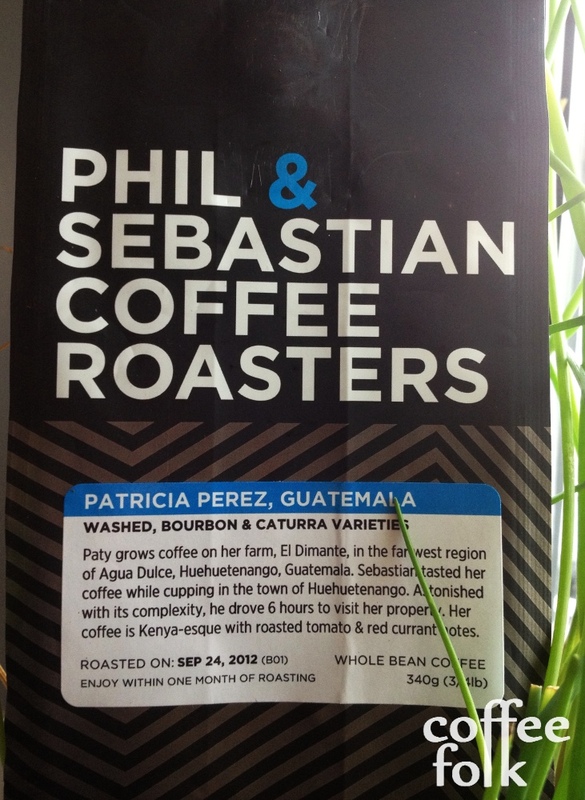 I gave this a whopping 93+ points, stating it was “easily one of the best coffees I’ve had this year”. It was really and truly just a great example of what a special coffee can be, plant to cup! This coffee was a selection from Steve down at Rocket Bakery. While I was down visiting, he brought this Colombia up. “First time I’ve had a tomato flavour in a coffee I’ve liked”, he explained. An a-typical Colombia is something I really love to see, shaking up some of the stereotypes that often come with Colombian coffees. 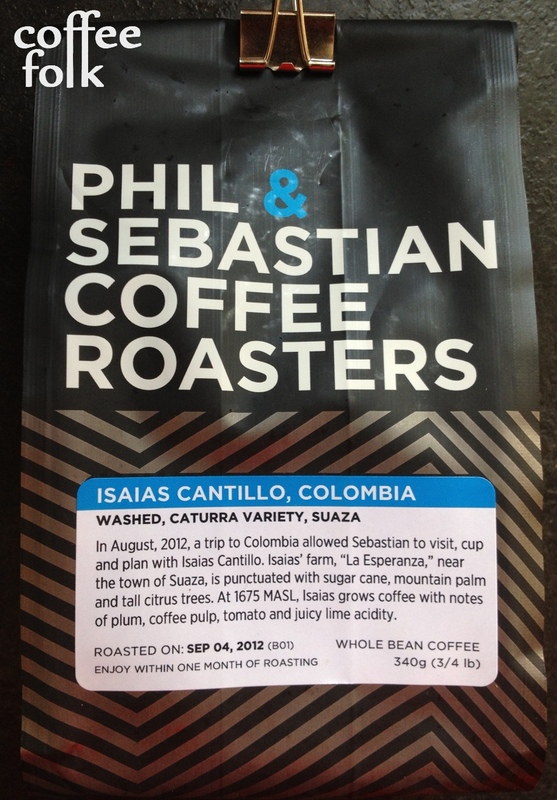 This coffee is surrounded in a little mystery, as when I went to look it up for the post, it was already in the archives on the Phil & Sebastian website. It was one of the most interesting coffees all year and really exciting. It’s really amazing how savoury notes in coffee used to be horrible (I can’t place exact dates here) but now many roasters have the nuance to actually play up these aspects in a positive way. The acidity on this was huge, and it really did show bright tomato-like acidity. This was good on both the french press and the clever. I found the clever to edge out slightly, as the press tended to muddle the flavours a little. On the nose I found it had a nice cinnamon spice component, apple, brown sugar, and baking apple pie. All I have to say is here is complexity. This was a really wild coffee and it really threw me for a loop. Experimenting with this blend I found I was able to highlight certain aspects of each particular coffee, and after some tinkering I hit a sweet spot. Really amazing! 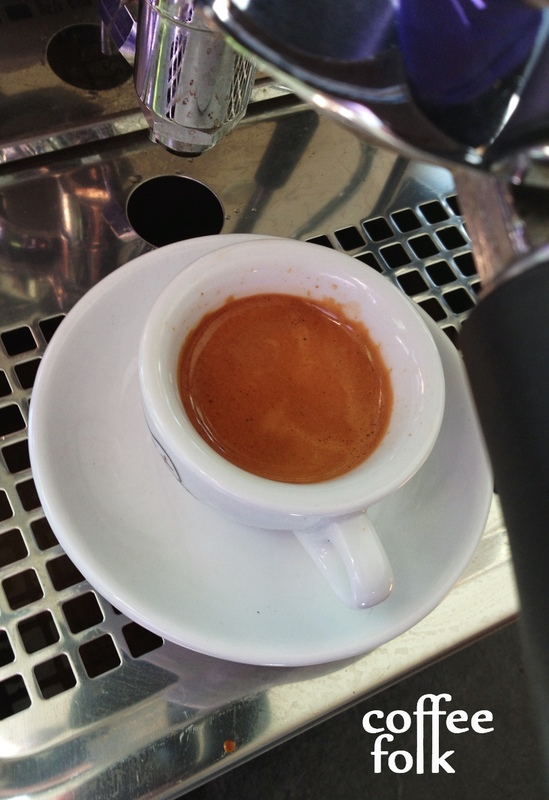 Think red fruit, toastiness, stone fruit, amazing acidity and just an overall very complex espresso. I was pleasantly surprised with this coffee. I’ve had nothing but mediocre coffees from El Salvador the past few years. However, this year there were some really new and exciting things happening there with lots of experimentation. This includes “experimentation with 45 different varietals of coffee trees on [the Los Pirineos] farm… to find which varietal of coffee tree results in the best cup profile when grown at his elevation, with his soil conditions, in his ecological conditions. This is NOT normal protocol” (via Fratello Blog). 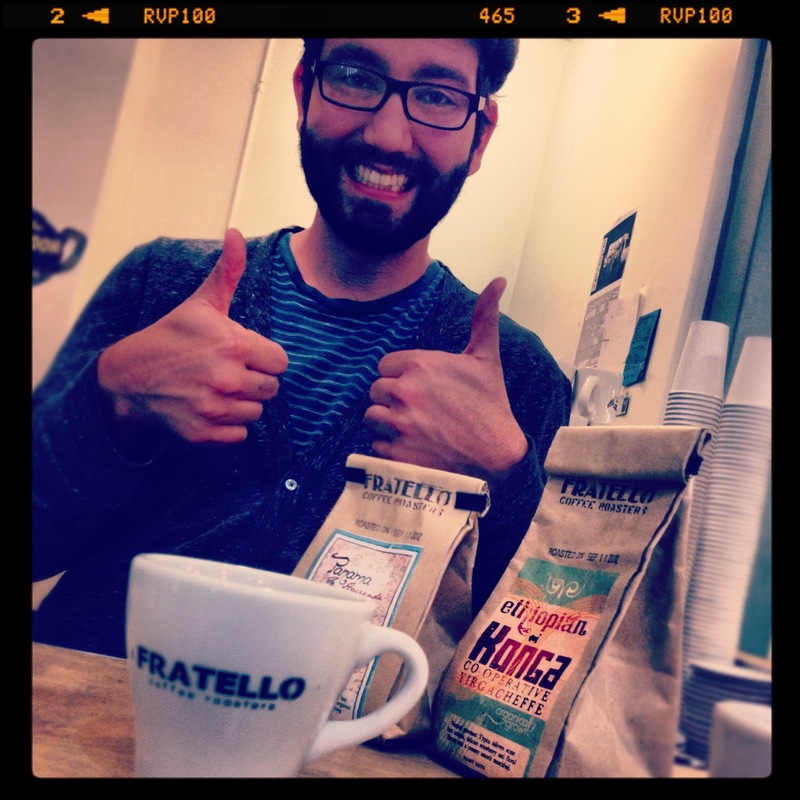 Fratello has a great post on their blog about the farm and more here. This had some great fruit, structure and winey characteristics. The nose had a medium intensity with blackberry and cherry. On the palate it had a nice body (winey mouthfeel), sour cherry, berry, blackberry, and a crisp green apple acidity. Overall, an interesting coffee with a nice complexity. 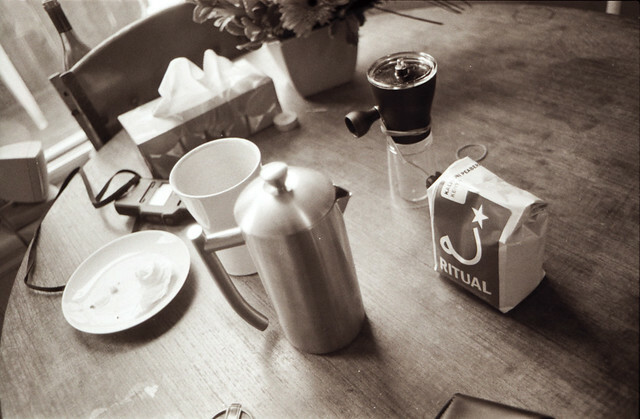 This coffee was a workhorse when we used it at the cafe. 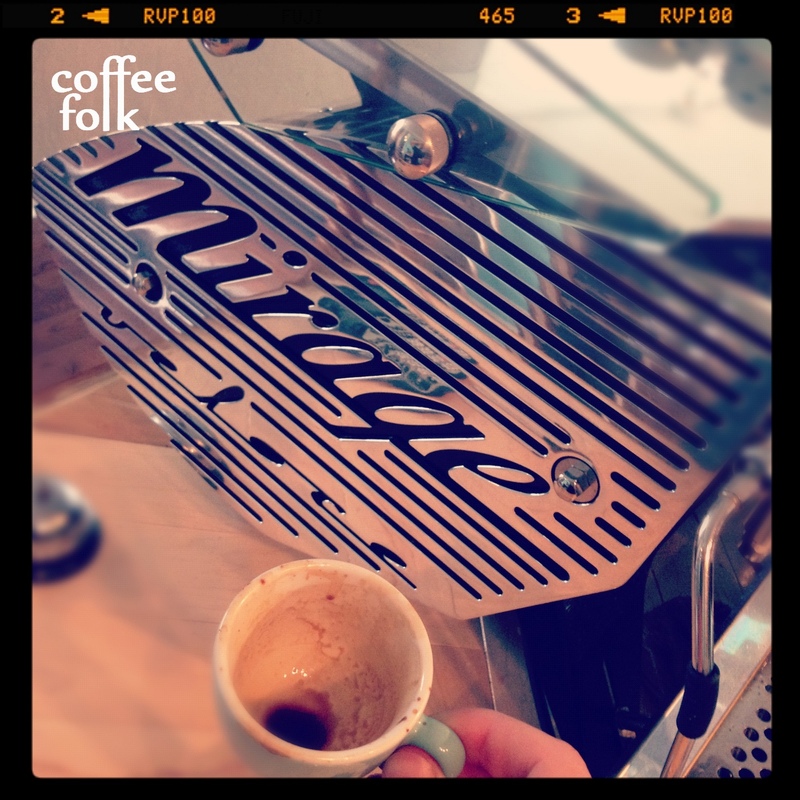 I found it really great typicity as a Guatemala and it worked very well as an espresso. Notes were spice, amaretto, red fruit, plum, amazing acidity and honey sweetness. Yum! There is really no competition or comparison when it comes down to the nitty-gritty of cafes in this city… the best coffee. This is the best coffee in the city. No question. Not only that, day in and day out it is consistent; that is an amazing thing! In November I had one the best cappuccinos of the year. It was early one morning before I headed off to the farmers market. The light was pouring across the floor from the huge front windows of the Fixed Cafe, and Jon served me up a cappuccino. It was delicious. Great sweetness, perfect temperature and silky milk. The Epic popped through the milk wonderfully bringing a great brightness of orange, spice and red currants. As I stood at the bar and chatted with Jon, I made mental note this was probably one of the best spro drinks of the year. 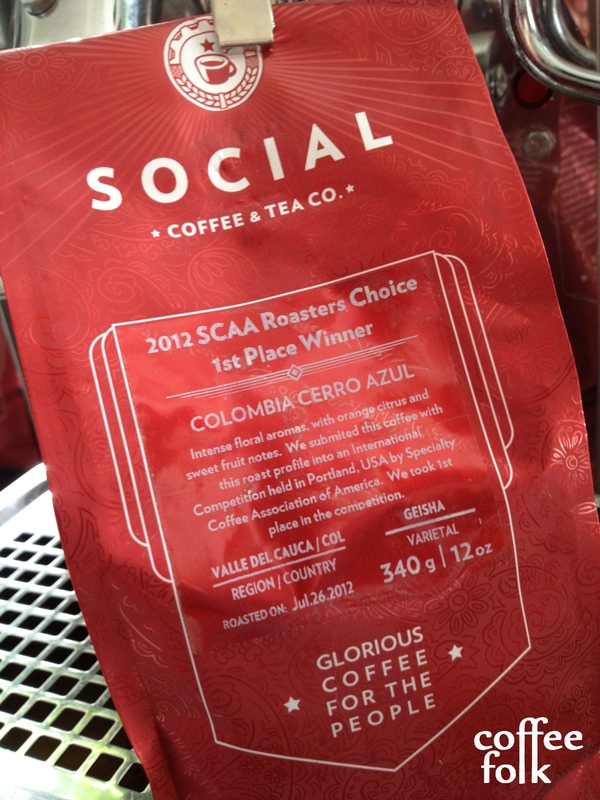 I’ve also had some amazing coffee here, including a fantastic Panama and two delicious (different) regions in Honduras. Clean, crisp and minimalist is the Post Espresso bar. I usually limit my orders to an espresso or a macchiato here. 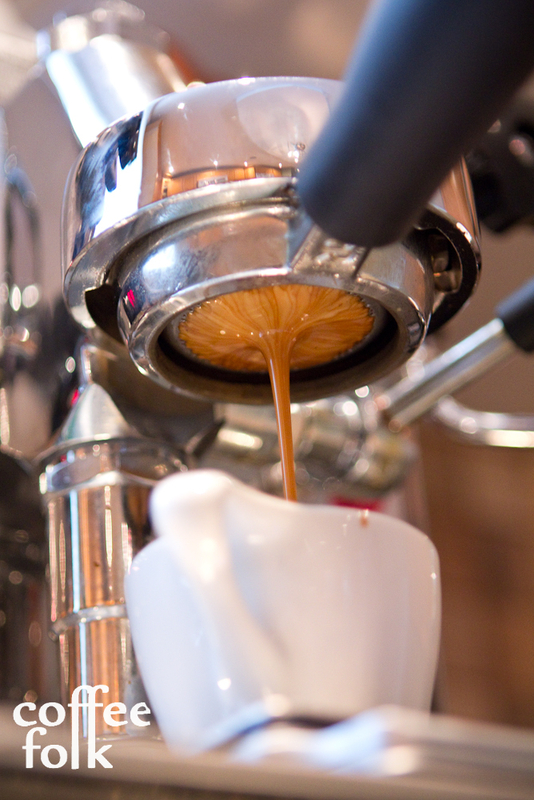 The espresso is especially good off that industrial Synesso machine. I’ve also had two really excellent coffees here via a chemex dripper. 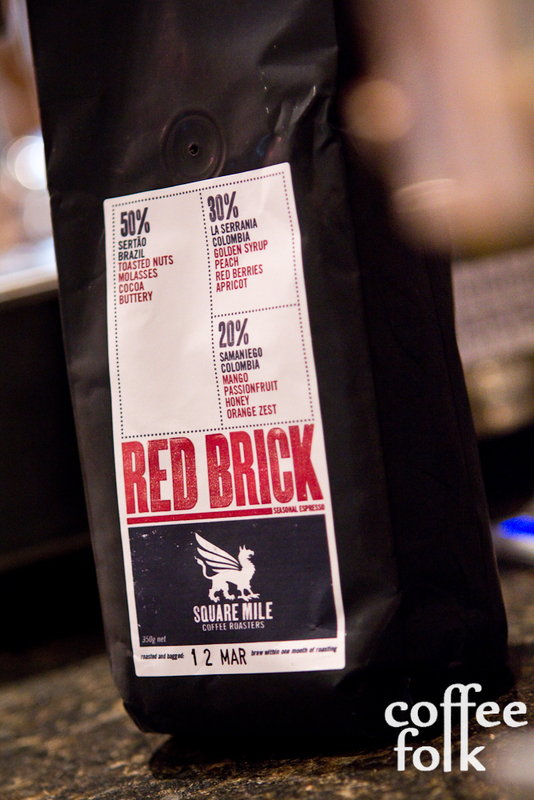 However, they were “Guest Roasters” – a special coffee they run in very, very limited quantity. That being said, I had perhaps the best coffee of the year here from the the legendary Tim Wendelboe! It was a Kenyan coffee and I had it via a pourover method, which at Post is a Hario V60. I spend a few minutes nosing the coffee as it cooled: wild berries and spice. The first sip was intense. It was incredibly juicy (acidity). 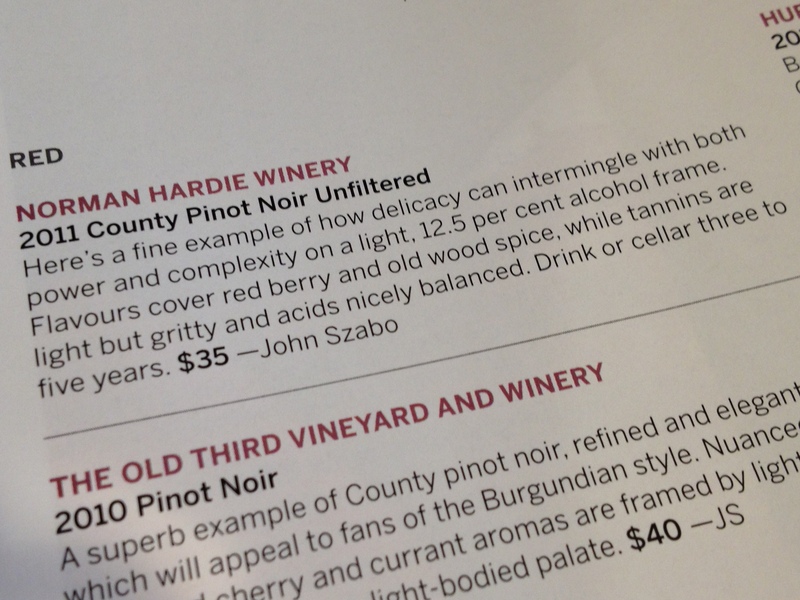 Tons of red fruit, winey, baked goods spices, fennel seeds… but most of all the mouthfeel was wild! Very special indeed. The body was nice, and compared to the acidity it was great. As the cup cooled I found raspberries, red currant and a snappy red apple acidity. A memorable visit indeed! From time to time, I love to pop into Coffee and Company early in the morning to chat with the manager Brad Burness and grab an espresso or a macchiato. There is always a hustle and bustle of people going in and out, and it’s right in the center of downtown. On the last day of the year I popped in to grab an espresso and was pleasantly surprised by the results. Nice chocolate base, medium+ acidity, cranberry and lemon zest. After a chat with Brad, that killer ‘spro, and a few minutes to warm up, I walked out with a big grin on my face. There it is! A full year in coffee! 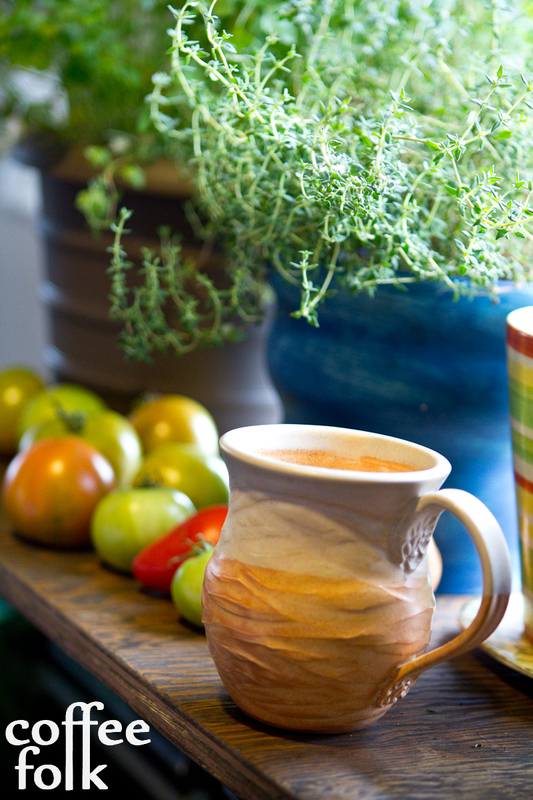 Keep sipping and keep note of those special experiences. Happy 2012 and best of luck in 2013! Strolling around the backyard, coffee in hand. 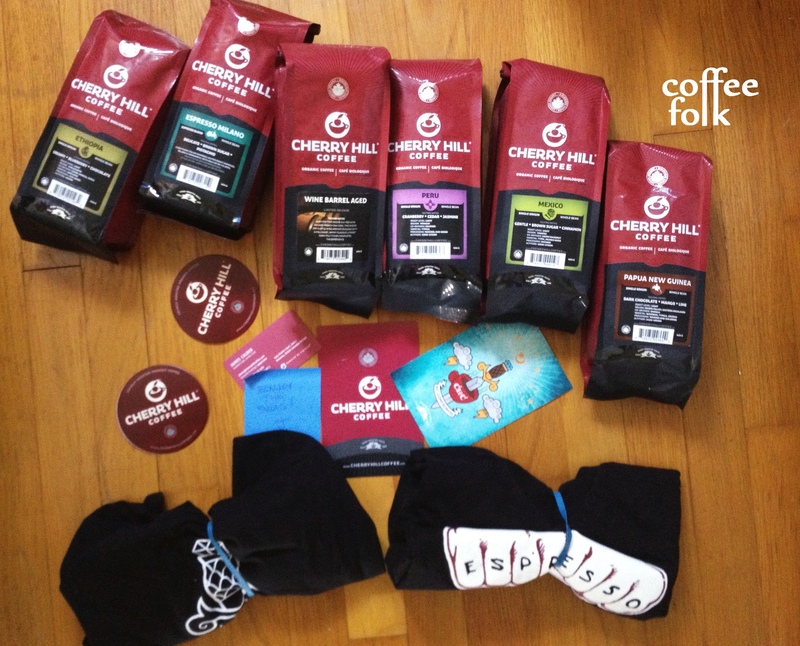 BUT I had the chance to try a bunch of new and different coffees from a wide range of Roasters: 49th Parallel, Phil & Sebastian, and 3 others from a Craft Coffee monthly subscription (I’ll have more in this in the future). While (sadly) only a mere two coffees made it into the best of this month, I’ve been noticing more and more that 2012 is coming to an end. I look forward to writing about my best experiences! This post will ultimately be short. However, you should keep an eye out for another post in the near future which will detail my experience with the Craft Coffee Monthly Subscription. 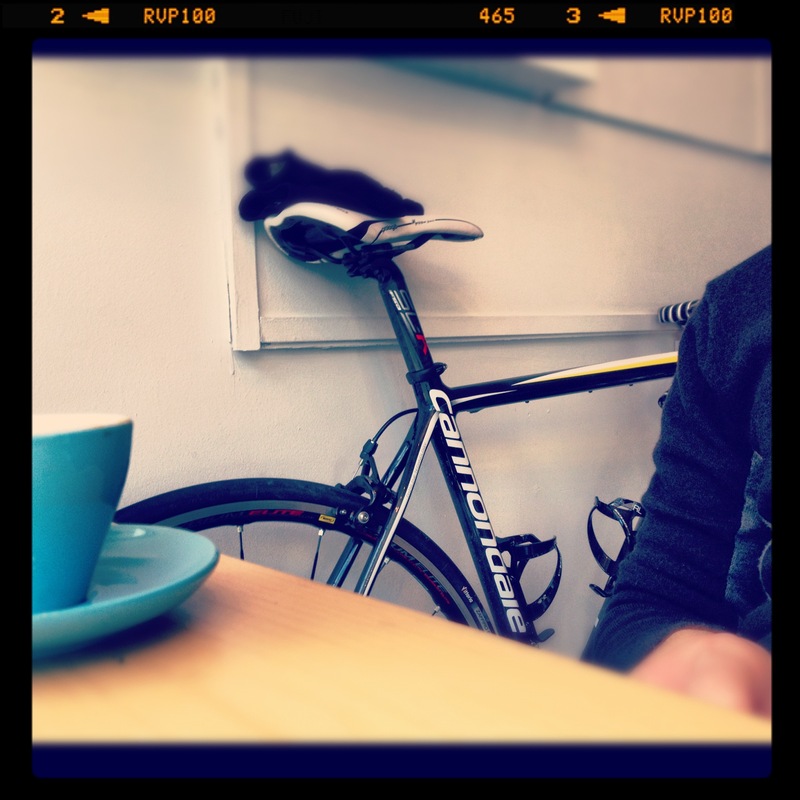 This coffee was heavily hyped by Steve down at Rocket Bakery. He excitedly explained the story of this coffee before it had even arrived, and once it did come in I made sure I got my hands on some. Surprisingly, some of the story even appeared on the bag. This was good on both the french press and the clever. Personally, I found this coffee was more exciting on the nose than on the palate… perhaps this was also a product of the excessive hype. Nevertheless, this was a nice coffee with spice, apricot and red berries on the nose. On the palate it had a nice body (winey mouthfeel), tart cranberry-like acidity, chocolate, red currant, a slight greenish-ness, with a slightly drying finish. On the nose, there was a low to medium intensity, I found dried sticky fruit like figs and dates, and red berries. On the palate, the coffee had a welcoming syrupy body. I found there were obvious notes of prunes, along with some red berry and some chocolate, with a lingering cocoa finish. This would make a great everyday coffee, nice complexity makes it interesting to drink. Certainly not overbearing in any aspect, even though I’m describing an obvious prune-like character. After getting out for a short 45 kilometer bicycle ride in the cool autumn air, I stopped into Post Espresso on the way home. I remember David mentioning they would be featuring a guest roaster. This is the second time David has done something of this sort, and it’s particularly exciting when he does so. 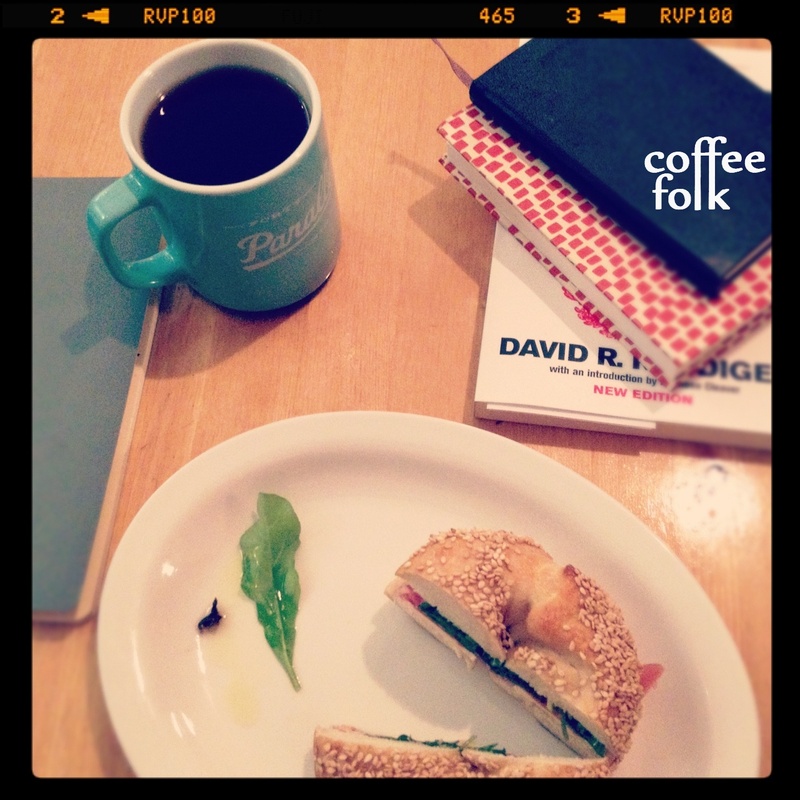 If you don’t already, you can follow David on twitter (@postespresso). 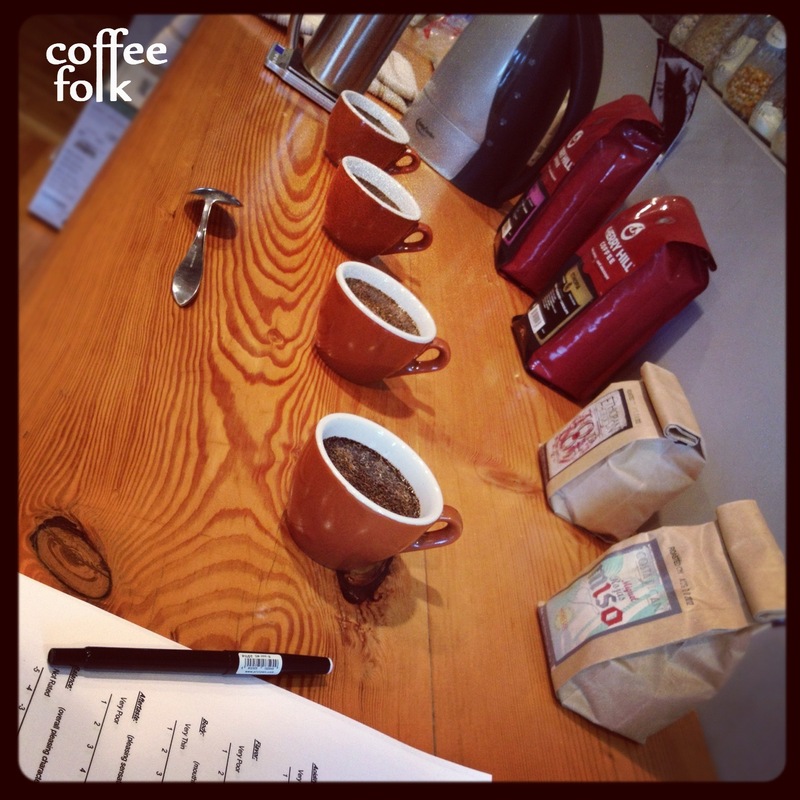 The guest roaster for October was Koppi Coffee Roasters from Helsingborg, Sweden. This fits neatly with the Scandinavian theme David puts forth in the cafe… I’ll have to shoot some photos I suppose! Because I knew I would only get to try this coffee for such a short time, I planned to make a few passes at the bar, especially if I liked the coffee. First, I ordered an espresso. Personally, I found it was pulled a little short. I’m guessing it was < 30 ml of coffee for a double. While it was pretty sweet, it was also pretty muted and the crema was pretty dark. I drank it up, and thought to myself that it would be great in milk of equal proportions. A shot that size would really pop in milk. However, David was kind enough to offer up another coffee as a pour-over: a Costa Rican Geisha crop from “Monte Rosa” also roasted by Koppi. I really have to say, it was one of the nicest coffees – if not the nicest – I have had at Post. It was deliciously sweet, and it held lots of Costa Rica’s typicity that I like so much. Tons of citrus on the nose, especially orange and lemon, and some floral components. On the palate it had a lighter body – like many geishas so often have – but great acidity and sweetness, with orange, faint berry, and chocolate. Happy with such a delicious coffee, I did not swing back for that macchiato. However, I can’t say I regret it… that was a delicious coffee to think about on my ride home. Thanks David. Daylight savings time has come into effect as I write this, and we get nearer and nearer to winter. 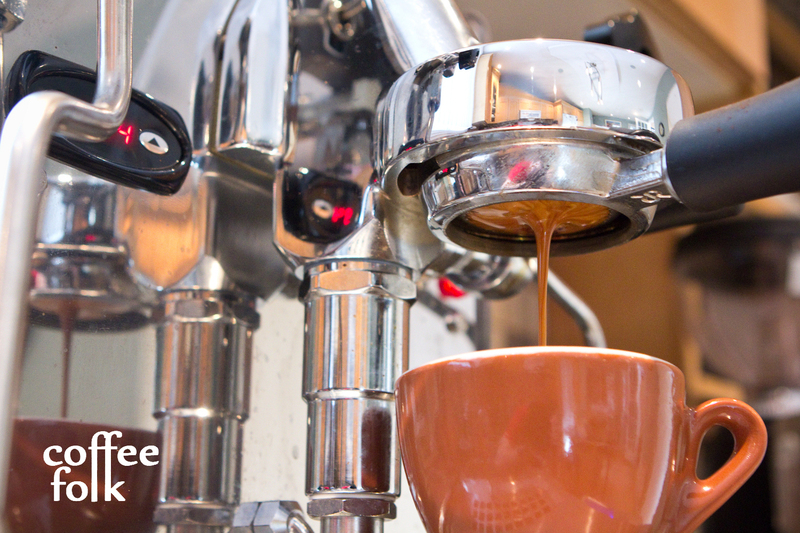 Buckle up, break out your toque and get ready for more coffee! The months of July and August ran into each other, simply because of the timing – I chose to start this “Best Of” feature in mid-July. This made it a little confusing as to what I would include in each post, as well as how it would look. Pouring up some coffee in the backyard. Since I’m still working on the actual layout for these monthly updates, it may still change slightly (however this seems to flow nicely). 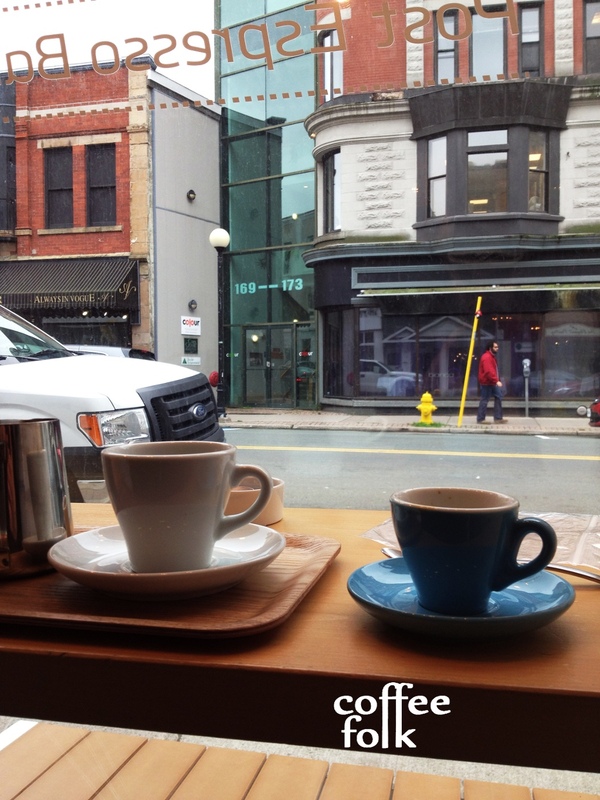 Featured coffees for this month include Phil & Sebastian and Fratello, as well as some updates out and about in St. John’s. 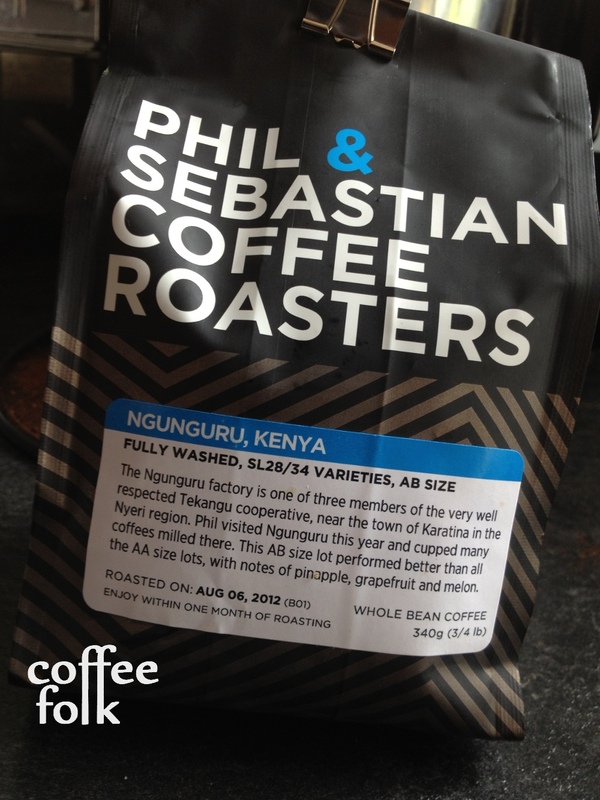 Very early in August my good friend Steve down at Rocket Bakery gave me a shout and let me know about the @PhilandSeb Kenya Ngunguru. Thanks to some friendly coffee exchanging some time ago, Steve was going to bring a bag in complementary! Generally my experience with Kenya coffees is underwhelming on the ‘cost to taste’ ratio. HOWEVER, this was a real nice coffee. Usually I never finish a bag of coffee because I have so much work to do trying multiple coffees, but this one I happily drank almost every morning. It was really one of those coffees I could drink everyday for a long time. I finished the whole bag. This was good on both the french press and the clever. On the nose I found it to be very floral, dried fruit, spice, and faint melon. On the palate I found it had a huge juicy acidity and lots of sweetness. I found melon and spice with faint dried fruits. There was also a citrus component that became particularly apparent as the cup cooled- grapefruit in particular. I’ve been trying out coffees from @FratelloCoffee for some time now and I’d like to think I have a good relationship with Russ (@FratelloCoffee2 on the twitter machine). Whenever they receive and roast new coffees they are happy with, he always makes sure to send some my way for feedback. 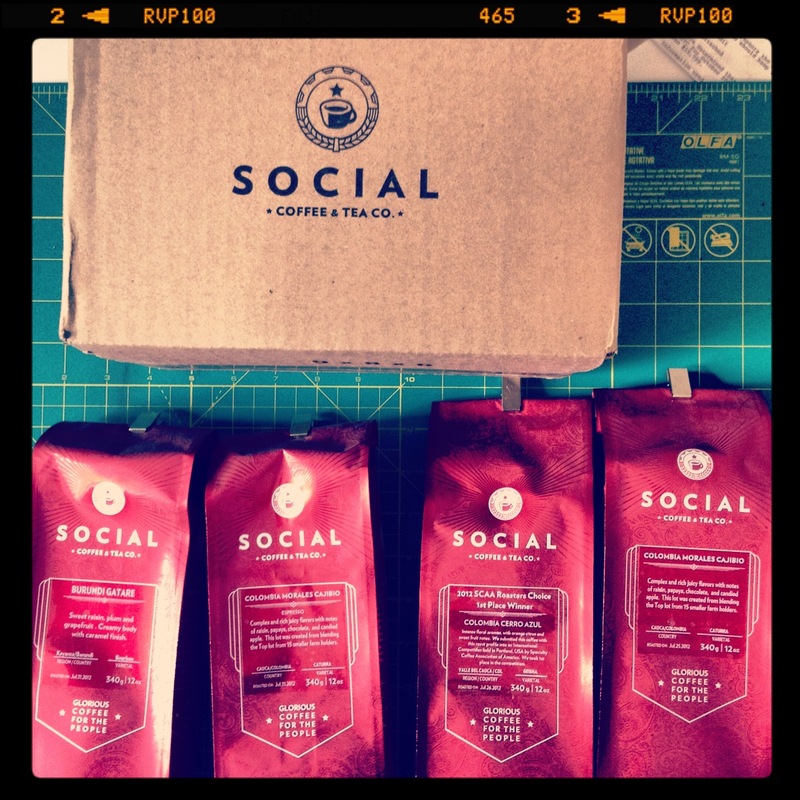 This month, I receive two coffees from them. 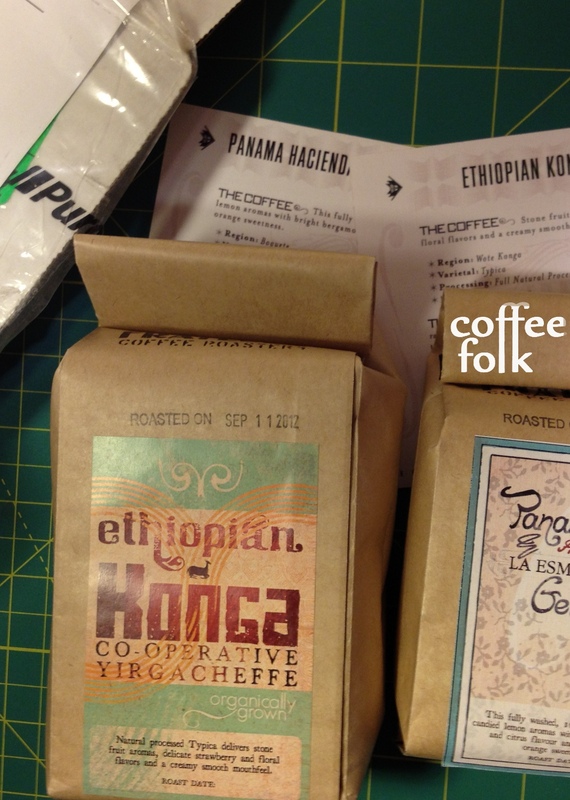 I’d like to put my focus on one in particular here: an Ethiopian Yirgacheffe. 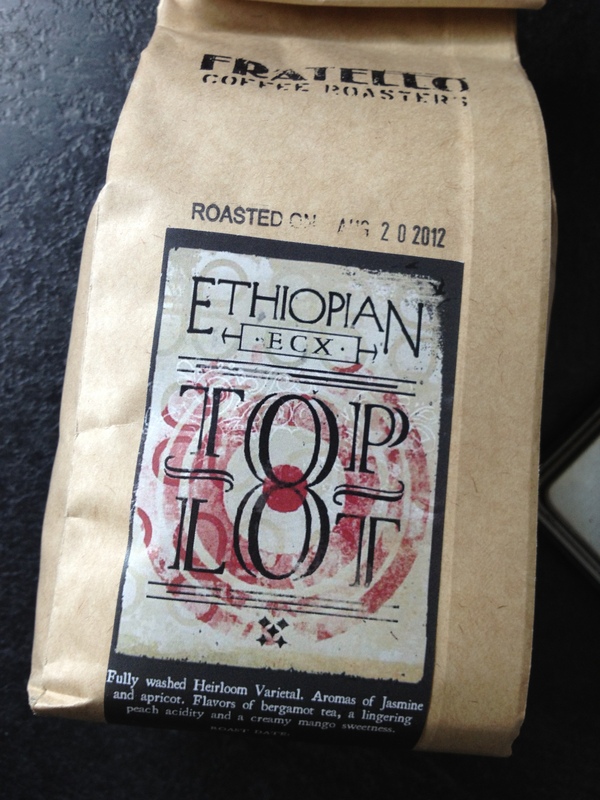 Sadly, we will never know its exact origins because it was placed on the Ethiopian exchange (hence ECX in its name), nevertheless it is a very interesting coffee. This coffee was very a-typical for a Yirgacheffe, something you would want to try out if you are looking for something out of the ordinary. I need to point out my early reactions with this coffee were because I had brewed it too fresh (August 20th roast date). I actually found this started to peak around 7+ days off roast. On the nose I found it had a medium intensity with grapefruit, spice, and some ‘fruit doughnut’. On the palate it showed it’s unusual-ness. I found it had a typical citrus, but also a persimmon-like middle and sweetness. It was delicate and had a black tea finish (also savoury). Despite its delicacy, I found this coffee did far better on a french press. It seemed the Clever accentuated it’s dry aspects and sucked some of its sweetness out. Maybe some tweaking could fix this. My cafe visits were few in the month of August. Sadly I can relive the month simply by looking through my phone – if there were no photos of espresso in cafe, well then it just wasn’t a really special experience. 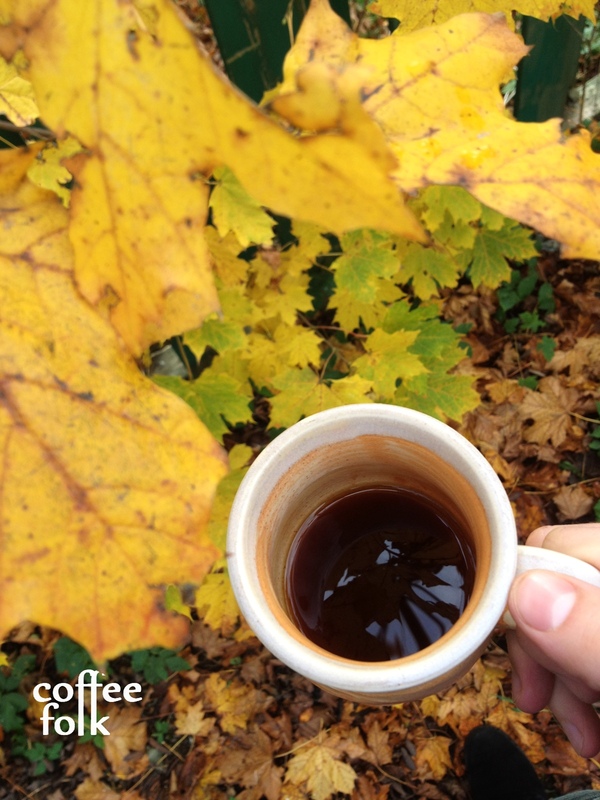 I found myself enjoying the last bit of summer, taking my french press and hand grinder around and brewing outdoors. As we move into the month of September and I dig back into school work, the cafe visits will climb greatly. 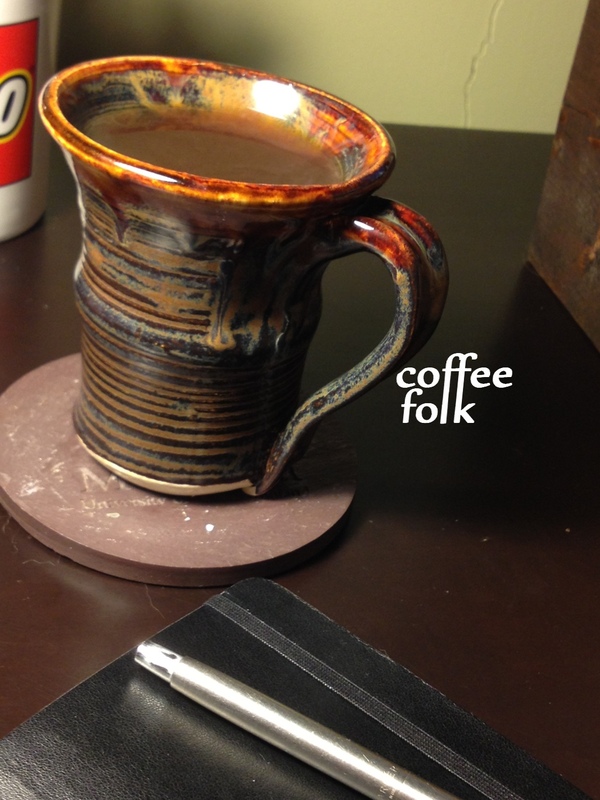 Keep warm with coffee, and thanks for reading!